MSF Midwife Ola, Rasha and her daughter are in a follow-up appointment, after the birth of Rasha's daughter in MSF's Majdal Anjar clinic in Lebanon. 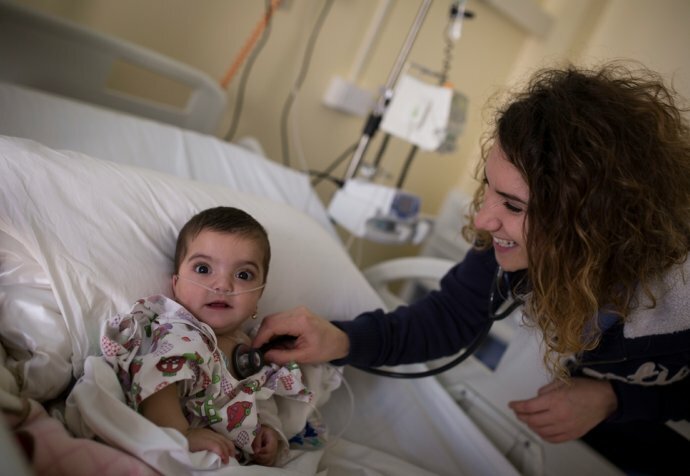 Video of Lebanon: Meet patient Rasha and her newborn baby girl! I am Rasha and this is my daughter, she's only fifteen days old, delivered through caesarean. I have two boys and three girls and I come to the MSF hospital so that I can check on my health and the health of my newborn daughter. I've come here today for a follow-up appointment. I'm very happy that I can provide, as a midwife, that I build trust with the patient. Being a refugee is very hard.